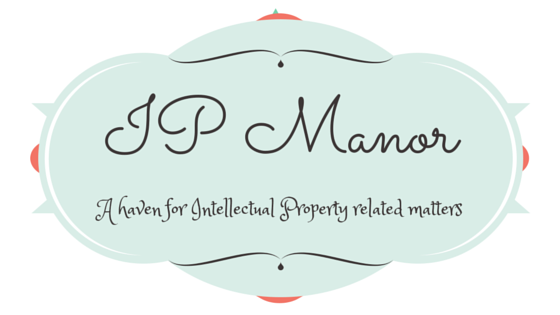 IP Manor – A haven for Intellectual Property related matters. WIPO Appoints New Legal Counsel: WIPO has recently appointed Frits Bontekoe to head its legal team.Frits will be replacing Edward Kwakwa who now is a senior director of the WIPO Department of Traditional Knowledge and Global Challenges, in the Global Issues Sector. Frits joins WIPO from his previous role as legal counsel at the UN High Commissioner for Refugees (UNHCR). More on that here. What’s so moral about the “moral rights” of copyright for academics? Should employees be bothered with innovation? Learn more about the patenting culture in Scandinavian Countries and Germany in respect to Lithuania here. WIPO Publishes Global Innovation Index 2016: Last week, we mentioned that the results of the Global Innovation Index 2016 would be released soon. Well, the 2016 rankings in the Global Innovation Index, was released by Cornell University, INSEAD and WIPO on August 15, 2016 with Switzerland, Sweden, UK, USA, Finland, Singapore taking the lead. For the first time, a middle-income country (China) has joined the ranks of the world’s 25 most-innovative economies since inception of the survey. More on that here. India Launches first IP Crime Unit: In order deal with the menace of piracy, the state of Telangana, India has launched India’s first IP Crime Unit – Telangana Intellectual Property Crime Unit (TIPCU). The Unit is modeled upon UK’s Police Intellectual Property Crime Unit and will operate under the cyber crime wing of the CID. TIPCU’s main task will be to monitor online piracy and recommend blocking of websites providing pirated contents, identify the perpetrators and pursue action. More here, here and here. Readers of WIPO Magazine have been invited to complete this survey ‘to better understand your interests and reading habits so that we can deliver the content you want to read in the formats you prefer’. The survey will close on September 9, 2016. The 2016 Global Innovation Index. Lazy read here. What have ‘cobots’ to do with IP? Shooting a movie in India and wondering if the movie title can be protected? Not shooting, but curious anyway? This is for you. Not a lazy read per se, but readers of WIPO Magazine have been invited to complete this survey ‘to better understand your interests and reading habits so that we can deliver the content you want to read in the formats you prefer’. The survey will close on September 9, 2016. Not so IP-related, but I have always found the concept of data and privacy protection fascinating. WIPO to Open External Offices in Africa: Following the submission of hosting proposals by African Member States in respect of hosting WIPO external offices, voting was held in Geneva on August 4, 2016 and Algeria and Nigerian were chosen to host WIPO external offices for North Africa and sub-Saharan Africa respectively. Only six African countries (Algeria, Egypt, Tunisia, Morocco, Kenya and Nigeria) filed their hosting applications before the deadlines set by the United Nations. More on that here and here. The hosting proposals can also be read here. Ghana IP Registry Closed Due to Strike Action: Following the nationwide strike action embarked on by the Local Government Staff Association of Ghana (CLOSSAG) on July 27, 2016, of which the Ghana Intellectual Property Registry staff are members, the Ghana IP Registry remains closed. The strike is due to government’s failure to pay CLOSSAG members interim premium (a monetary incentive paid to attract and retain critical skills in short supply). More on that here and here. Ed Sheeran is being sued by the family of a co-writer of Marvin Gaye’s “Let’s Get It On,” who believe that Ed Sheeran’s hit, “Thinking Out Loud” is based on it. More on that here. WIPO to release Global Innovation Index 2016: The results of the Global Innovation Index 2016 will be released on August 15, 2016 at a press conference in the United Nations’ headquarters in Geneva, Switzerland. The Global Innovation Index (GII) 2016 will focus on global innovation networks, ranking the innovation performance of 128 countries and economies around the world, based on 82 indicators. Follow the press conference live and join the conversation using #GII2016. The August 2016 edition of WIPO Magazine is out and in the spirit of the ongoing Olympics, there’s an article on that. IP-related of course. We had previously mentioned here, that Angela Daly‘s book Socio-legal Aspects of the 3-D Printing Revolution was scheduled for release in June 2016. It’s out now and Nicola Searle has been kind enough to review it here. If you have been following the US Presidential elections, you would have heard by now the plagiarism allegations leveled against Melania Trump for copying parts of Michelle Obama’s speech. IP Whiteboard has this to say about that. WIPO is about to open external offices in Africa – Algeria and Nigeria. 6 African Member States submitted their proposals, which you can read here. Looks like the right time for the Lady to update her CV. WIPO, here we come! Ever wondered why you can’t find some of your favourite music artistes on Spotify? Here’s why. Recently, the Lady came across a tweet that forbade someone for using the Rio2016 hashtag and thought it was ridiculous. Well, it appears not to be hence the question – Are companies allowed to tweet about #Rio2016? Winners of IPKat‘s IP Limmerick competition have been announced and not only are the entries witty, they also provide concise information on IP and related matters from around the world. In case you missed it, the Nigerian Copyright Commission’s website is back up and along with the revamped website comes the Commission’s Q1, 2016 Report. According to the report, the proposed amendment of the Copyright Act is complete and waiting to be passed into Law. You would recall that submissions and comments were invited on the Draft Copyright Bill, 2015 between late last year and early this year. From UK Intellectual Property Office comes ‘IP and BREXIT: The facts‘. You can catch up on other BREXIT related articles here. The access to medicine debate never ends. This time, India and HIV/AIDS are at the forefront. Still on access to medicine, a Commitment on Investment in Access to Essential Medicines was signed at UNCTAD14. IP Watch analyses the significance of Uruguay’s Win Over Philip Morris International in relation to plain tobacco packaging. Significant developments in cloud privacy within Europe and US. Japan Establishes Overseas Intellectual Property Litigation Insurance Scheme Established for SMEs: The Japan Patent Office (JPO) has established Japan’s first insurance scheme to cover the cost of overseas intellectual property (IP) litigation, to provide a safety net for SMEs that become embroiled in disputes over IP infringements in other countries. The premium will be halved for SMEs enrolling in this insurance scheme if they belong to a nationwide organization that includes SMEs among its members. More on that here. Medicines Patent Pool Signs New Round of Generic Manufacturing Licences for HIV and Hepatitis C Treatments: Earlier this month, the Medicines Patent Pool (MPP) announced new generic manufacturing licences for four antiretrovirals and hepatitis C direct-acting antiviral daclatasvir. The organisation signed licences with Aurobindo, Desano, Emcure, Hetero Labs, Laurus Labs, Lupin and new partner Zydus Cadila for a total of nine new sub-licensing agreements to produce generic versions of key World Health Organization-priority HIV and hepatitis C treatments. According to MPP’s Executive Director – Greg Perry, it is expected that these new sub-licences will secure greater volumes of low-cost medicines for people living with HIV and hepatitis C in low- and middle-income countries. British IP Day: July 5, 2016 marked the first British IP Day intended to celebrate the huge contribution that Intellectual Property (IP) makes to the UK. More on that here. V4 Countries Launch Visegrad Patent Institute: The four member states of the Visegrad Group (Poland, Hungary, the Czech Republic and Slovakia) launched the Visegrad Patent Institute (VPI) on July 1, 2016. The Institute is aimed at strengthening regional cooperation in IP. Applicants will be allowed to communicate with the institutions in their respective mother tongues, and fees for Patent Cooperation Treaty (PCT) applications will be reduced by as much as 40 percent, according to Poland’s Patent Office (UPRP). Intellectual property fees rise by up to 6,200% in Gulf countries: IP fees have risen in Arabian Gulf countries (UAE, Kuwait, Saudi Arabia and Bahrain) by as much as 6,200%. While there has been no official explanation from the governments of the affected countries, some lawyers believe that the hike may not be unconnected to attempts to increase revenue following the global oil price slump as well as the move by the Gulf countries to unify their trademark laws and move services online. More on that here. Thomson Reuters to Sell Intellectual Property and Science Business: Plans are underway for Thomson Reuters Corp. to sell its intellectual property and science business to private-equity funds affiliated with Onex Corp. and Baring Private Equity Asia for $3.55 billion in cash. About $1 billion of the proceeds will be used to buy back shares and the balance will be used to pay down debt and reinvest in the business.